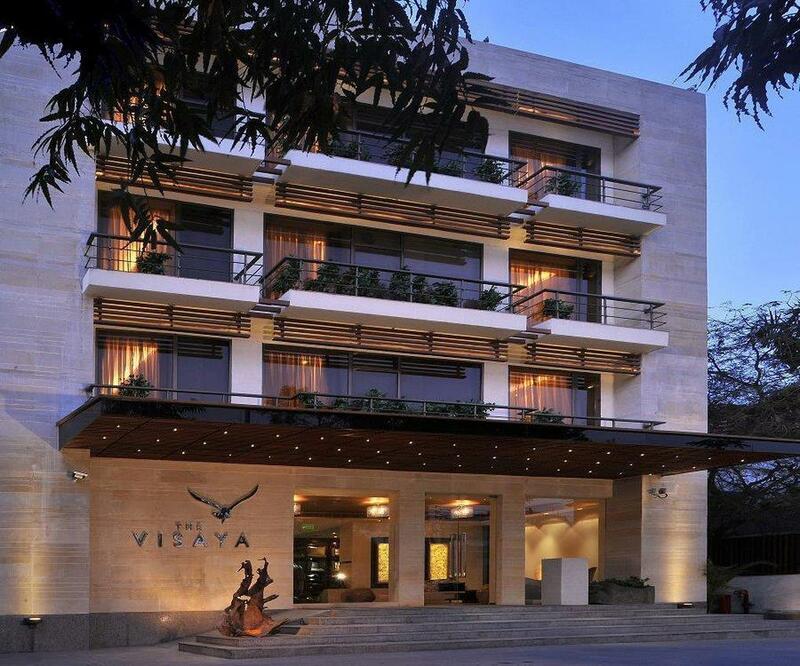 Visaya's fabulously attentive staff transforms this well designed hotel into a top noch, five star establishment. A beautiful tranquil garden & seating area off of the dinning room is perfect for an afternoon coffee, business meeting or eveing drink. The Ajwani fish tikka and Mutton Bhurra are delicious, generous and resonably priced; No need to duck into Delhi traffice for a deliciosu meal! 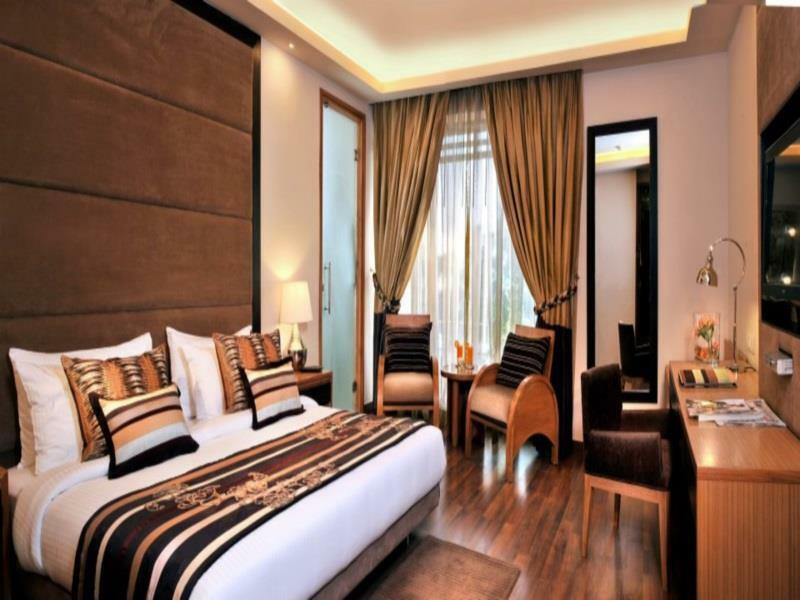 Despite the graceful aging of any Indian hotel, The Visaya rooms feel extreemly fresh & comfortable. Over the years, I have known the Delhi Tajs, Oberoi, Imperial, Park, Country Inn, and many business hotels & guesthouses but Visaya remains my firrt choice for the value of service, food and even room aesthetics. On my eighth stay and I cant wait to return. THANK YOU OS MUCH!! A well-designed boutique style hotel exemplary for contemporary India. Very friendly staff always willing to help. A smooth check-in and they remembered me from previous visits. The upkeep of the rooms is usually a challenge in India but the few little things that needed improvement would be fixed soon the GM has assured me. It is the best hotel in the area ! The Wifi did not work for a few nights. Once it did, it was so slow that it was essentially unusable. This is unacceptable in 2018. One of the nights I woke up to use the bathroom and I saw a rat tail hanging from the air conditioning vent. I heard scurrying and the tail disappeared. They gave me a new room for free, but come on man. RATS?! Dear Guest, Thank you for taking the time to share your review. We truly value your opinion. I want to apologize for the experience you had with our hotel. We value feedback like yours as it allows us to improve further. We look forward to welcoming you back to experience positive change. I stayed a few months ago and thought it was fantastic and booked my next to trips to Delhi there. This time it was disappointing. The superfast internet was extremely slow in my room, Bedside lamp not working, TV functioning badly were the biggest problems which were essential to my stay. I have reported it 3 times to the staff but nothing was solved or reacted to properly. I will give it another try in 2 weeks as I like this place for their rooms. I hope the management will wake up to these problems. Agoda recommended this hotel to us as what we had booked had closed. Excellent recommendation. Great location right near Hauz Khas station. Rooms were large with a good bathroom. Breakfasts were pretty good but all indian. Hotel was nice and quite so was a very peaceful sleep (for Delhi anyway). Perfect base for exploring Delhi. Dear Guest, Thank you for taking the time to share your review. It is our constant endeavor to provide our guests with the highest levels of comfort & quality service to ensure a memorable experience. We are pleased to hear that you were satisfied with the overall experience of your stay with us. We value your patronage and look forward to welcoming you back again. This was our second stay at Visaya hotel. Everything was great about the time we spent there. The hotel is clean and comfortable, staff are friendly and the hotel is well located (depending on where you are wanting to go in Delhi). One issue we had was with the balcony. Even though the room is advertised with a balcony, it does not mean you can access the balcony (I know... it is very bizar!). We had to persuade them to open the door so we could get on the balcony by threatening to cancel and find another hotel, after which they opened it. Apart from that, we had a good stay. I stayed in the hotel with my friends and spent a couple of days. In the context of its location, it is located in the heart of south delhi with the perfect mix of nature and civilisation. The staff is courteous and friendly and is always on the lookout to help you. The food is limited but decent. The only downside is the poor wifi connectivity and the designing of the bathroom which is slightly obtuse. Overall a good place to stay if you're in the city for a small period of time. The contemporary style is one of the best I have seen in India. Very friendly and helpful staff. We had a great time there. Breakfast was available by 10:30. There was a lot of kind of food. It was fun to choose. People working there was nice, too. Room was big enough for 2. The staff were very helpful with everything. Located beside the main road and easy to identify. The morning breakfast was Good enough & worth the amount of money that you spend for the room. I got a free upgrade to a bigger room since the room which I had booked was not available at that time as the cleaning was not done after the previous guest left. 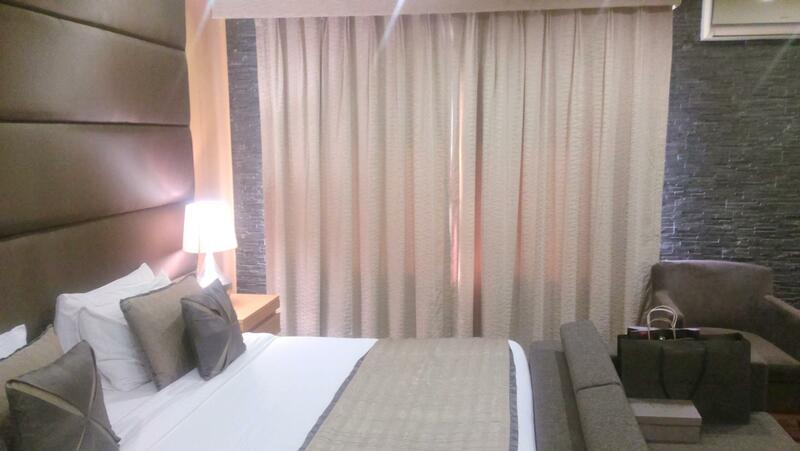 Over all good value for money hotel in South Delhi. This literally was one of the worst hotels I've ever been to. The night staff was extremely rude, bordering on being aggressive. The toilets were filthy and the sheets were stained. I found left overs from the previous occupants party on my mini bar, and when I complained the staff came in and looked at me as though I was crazy for complaining for a little thing like this. The restaurant staff was extremely courteous and the day staff seemed much better. I was initially planning to stay here for 2 nights but I "escaped" our first thing in the morning. I would avoid this hotel like the plague. The location is not bad. The aesthetic of the hotel is tasteful. It would be a fantastic 3 star hotel. The deluxe room is adverized as having a balcony, but actually it is just a large window which does not open and the room itself is not much nicer than the regular room. The staff working at the front desk is fairly incompetent and seems to be trying to make a buck arranging over priced taxi service for foreigners. I have mixed feelings about the hotel, it has everything I need for a comfortable hotel in Delhi, but I don't feel good about arguing free wifi or telling me I was late for the airport so I should take the hotel car which is 2.5 times more costly when I was not late. I couldn't have my own room key when I check in. สถานีรถไฟใต้ดิน Hauz Khas - ระยะ 0.4 กม.